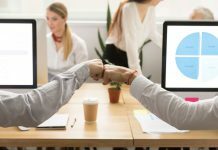 Wasatch Computer Technology, an industry-leading developer of RIP & Print Management software, has joined forces with Niceware International, a software solution provider. 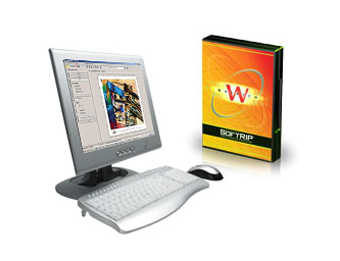 Wasatch SoftRIP for Niceware is a color management and printing software solution that ensures consistent color across a wide range of materials and applications. This color print management software is designed for high speed color inkjet printers, such as those in Colordyne Technologies’ CDT-1600 Series. This color management and printing package combines Wasatch technology with NiceLabel, a professional label design and printing software. NiceLabel Pro provides a variety of features for label design and integration (including barcodes, variable fields, database connectivity, and more). This full-featured label design program is capable of handling variable data and connects to virtually any database or ERP business management system. 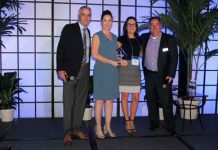 Because Wasatch SoftRIP is sophisticated RIP software made easy, it was the perfect addition to Niceware’s product line. With intuitive workflows, powerful print controls, and easy-to-use spot color replacement, Wasatch SoftRIP provides complete control over the print production process. With the ability to easily adjust the amount of ink laid down, Wasatch SoftRIP consistently delivers the proper amount of color, ensuring a quality print job every time. Wasatch SoftRIP for Niceware takes the guesswork out of the print production process with a comprehensive color profiling, advanced label design, and print management solution. With the ability to support material profiling, each label stock can match the inkjet printer’s capabilities for predictable color. Labels or images can be sent directly from NiceLabel Pro or any Windows application to print to Wasatch SoftRIP. Niceware International, LLC, headquartered in Brookfield, Wisconsin, is a global provider of software solutions for identification systems. As experts in the Automatic Identification and Data Collection (AIDC) industry, Niceware delivers innovative products and services in the areas of barcode label design, enterprise printing, color print management, and custom software development. For more information, visit www.nicewareintl.com. Wasatch Computer Technology, LLC, headquartered in Salt Lake City, Utah, is a leading developer of RIP & Print Management solutions for wide format digital printing, screen separations, digital textile printing, photographic printing, giclée, and other specialized processes in the digital printing market. For more information, visit www.wasatch.com.